As part of the ongoing Press Gang Week, today's featured historian is Marcus Rediker. Author of important works including Outlaws of the Atlantic: Sailors, Pirates, and Motley Crews in the Age of Sail, The Slave Ship: A Human History, and Between the Devil and the Deep Blue Sea: Merchant Seamen, Pirates and the Anglo-American Maritime World, 1700–1750, Marcus Rediker received his PhD from the University of Pennsylvania. He is currently the Distinguished Professor of Atlantic History at the University of Pittsburgh. 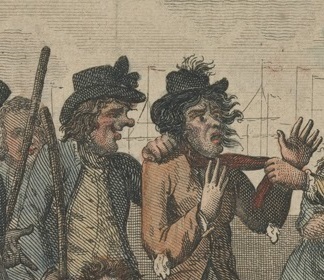 I showed Dr. Rediker seven primary source images depicting press gangs at work, and asked him to choose the one that best captured the nature of press gangs in the eighteenth century. I would pick the Morland painting, by quite a margin, with Barlow second. 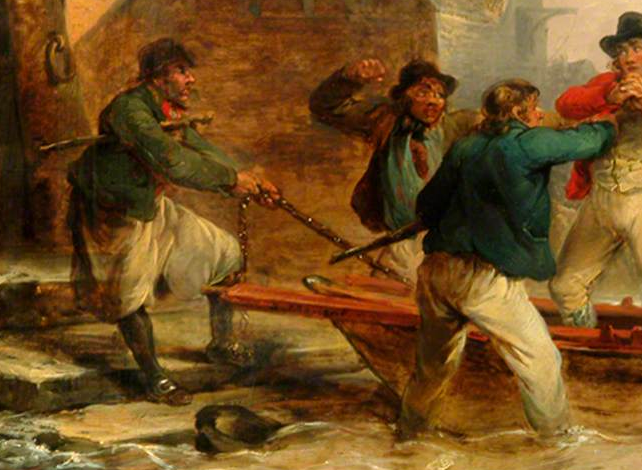 Morland captures impressment in action and renders realistically and in convincing detail both people and place. 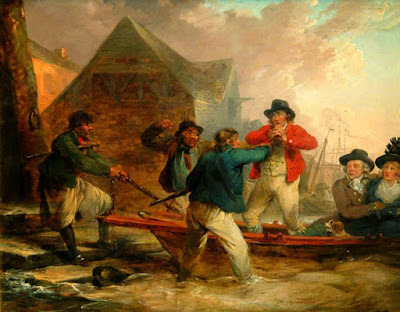 One sees the unexpected situation, a boat hijacked, so to speak, along the waterfront, which was always a dangerous place. 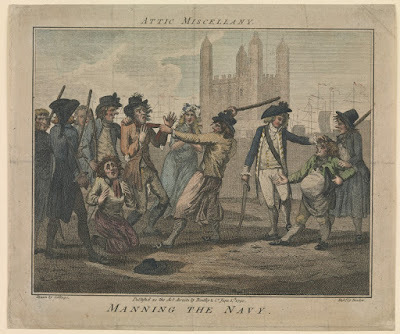 He also captures the chaos: the bosun (with his stick) at the moment of capture, the hat in the water, the sailor ankle-deep, the violence, actual and threatened. Is the sailor with the clenched fist African-American? He appears to be darker-skinned than the rest of the people depicted. All in all, it's the best representation of the press gang I've ever seen. My second choice would be Barlow, but it is compromised by its (conventional) use of caricature, making the faces of the workers look rather ridiculous. 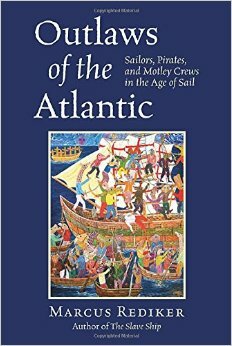 Be sure to pick up a copy of Rediker's latest work Outlaws of the Atlantic: Sailors, Pirates, and Motley Crews in the Age of Sail.